Once you are familiar with the basic rules, you can start creating morphing sequences. You need to practice and become at ease with the Morphing feature. To begin, start with simple elements, once you become confident with the morphing process you can move on to complex and advanced morphing techniques, such as head rotation or full characters. 1. In the Timeline view, click on the Add Drawing Layer button to add a new layer to your project. 2. Rename the new layer Morphing. 3. In the Timeline or Xsheet view, select the first cell in your layer. 4. In the Tools toolbar, select the Rectangle tool or press [Alt] + . 5. In the Tool Properties view, enable the Auto Fill option. 6. In the Colour view, click on the Set Paint Current Colour button. 7. In the Colour list, select a colour to fill your rectangle with. 8. In the Colour view, click on the Set Pencil Current Colour button. 9. In the Colour list, select a colour to trace your rectangle's outline with. 10. 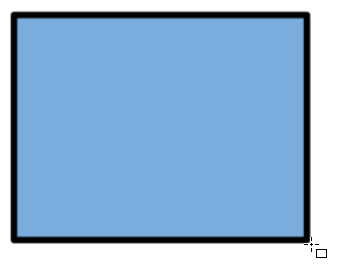 In the Camera or Drawing view, draw a rectangle. ‣ Hold down the [Shift] key if you want to draw a square. ‣ Hold down the [Alt] key if you want to draw the rectangle from its centre. 11. In the Xsheet or Timeline view, select the last cell. 12. Repeat Step 5 to Step 10 using the Ellipse tool instead of the Rectangle tool or press [Alt] + [=]. 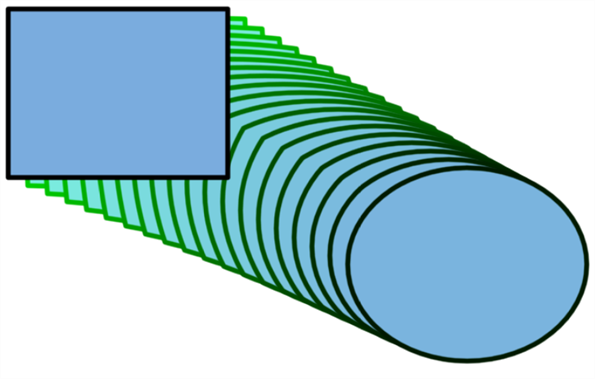 ‣ Draw an ellipse using the same outline colour as the rectangle ("Outline"). 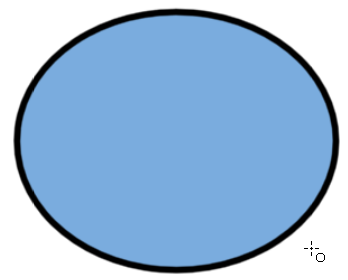 ‣ Paint the ellipse with the same fill colour as the rectangle ("Fill"). 13. In the Xsheet or Timeline view, select your first drawing's cell, the rectangle drawing. 14. In the Xsheet or Timeline view, right-click on the selection and select Morphing > Create Morphing or press [Alt] + [M]. ‣ In the top menu, you can also select Animation > Morphing > Create Morphing. Arrows appear between the two key drawings to show they are computer generated. 15. Use the Playback toolbar to play the morphing sequence. To flip through the in-betweens toggle between [,] and [.] or press [F4] to toggle between the two key drawings.